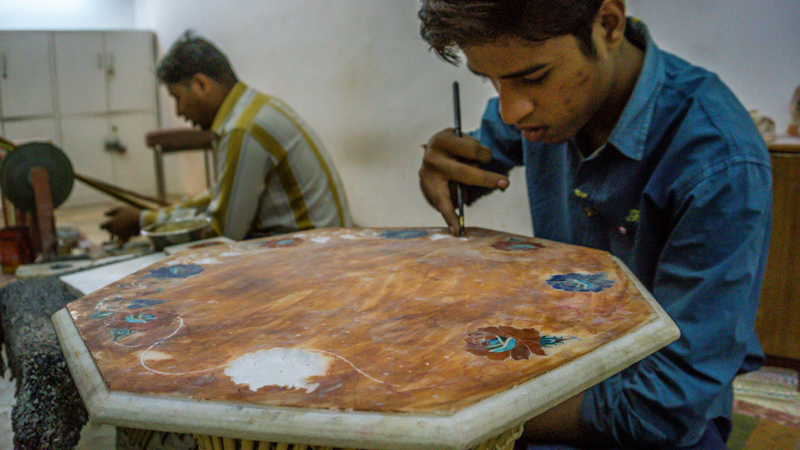 We were incredibly lucky to learn how traditional Indian arts are being passed down from generation to generation, and to observe some of the masters working on their crafts. 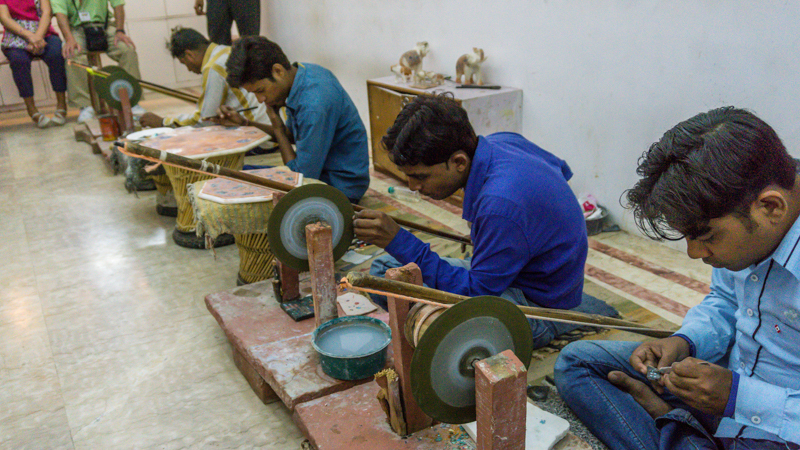 We got to visit a hand-women rug shop, a marble in-laying shop, and a jewelry shop while in India. And in each place we saw demonstrations on how each of the crafts is done. 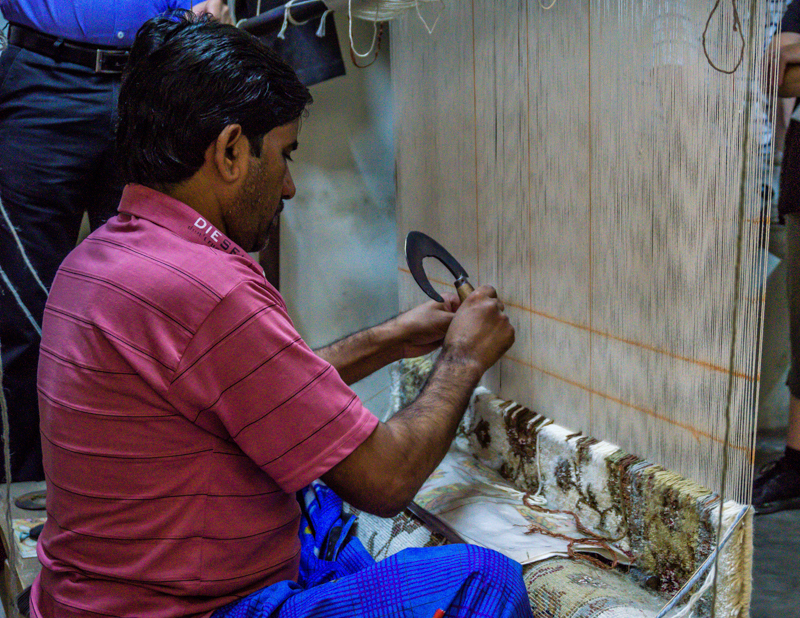 All of the rugs are woven by hand, and you should have seen this guy work – his hands moved so fast you couldn’t even make out what he was doing!! I wish I took a video. 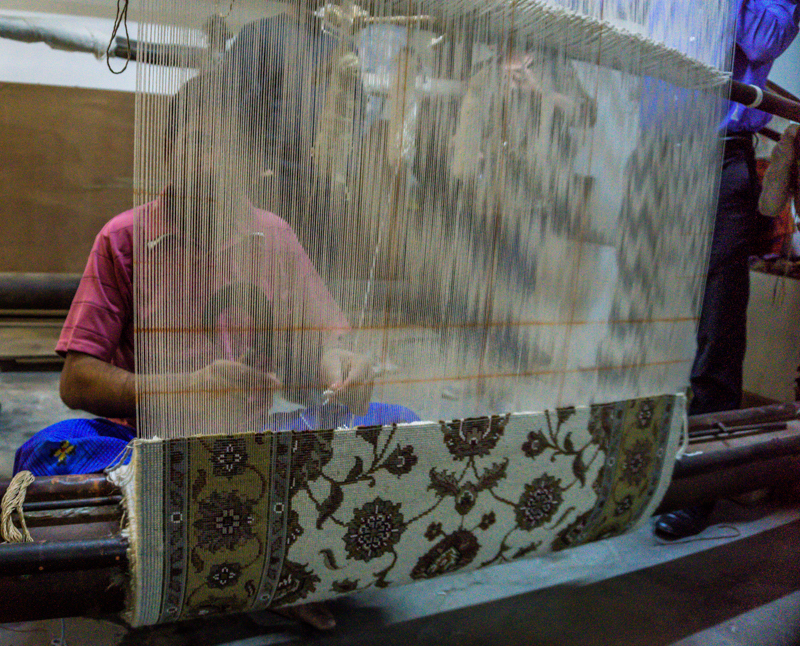 After the rugs are made, they are put through a pretty tough quality check. 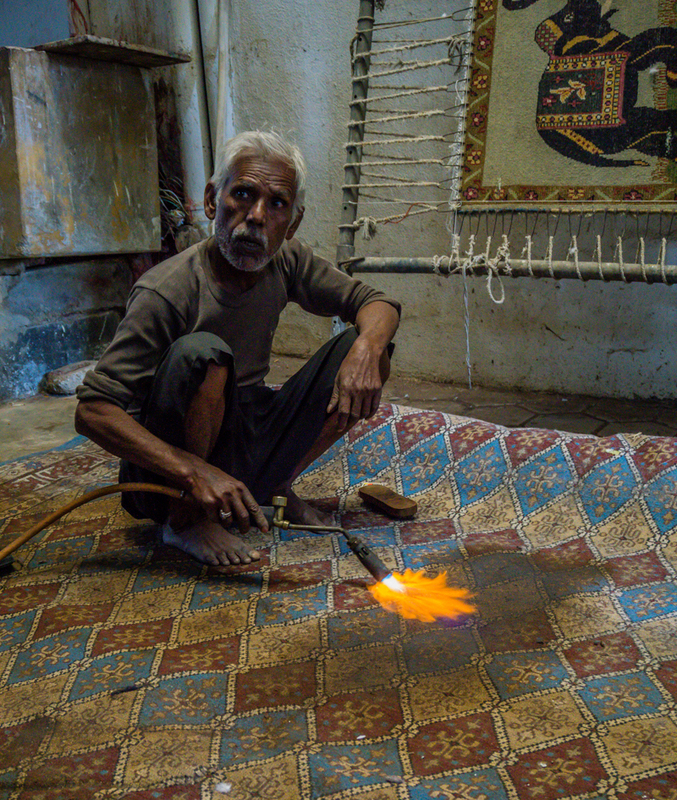 Turns out natural fibers take longer to burn than any plastic/dust particles that might have gotten into the rug during the long hand-weaving process, so the extra stuff is burned off. 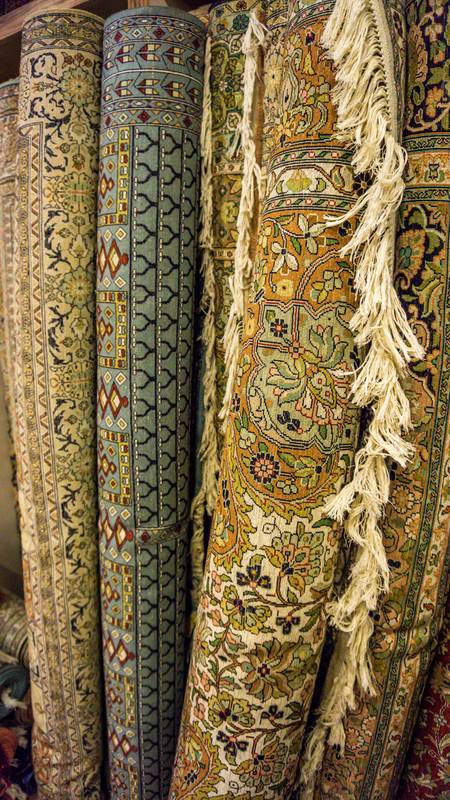 This is also a way to ensure that the threads used in the rugs are indeed natural fibers and not synthetic stuff. 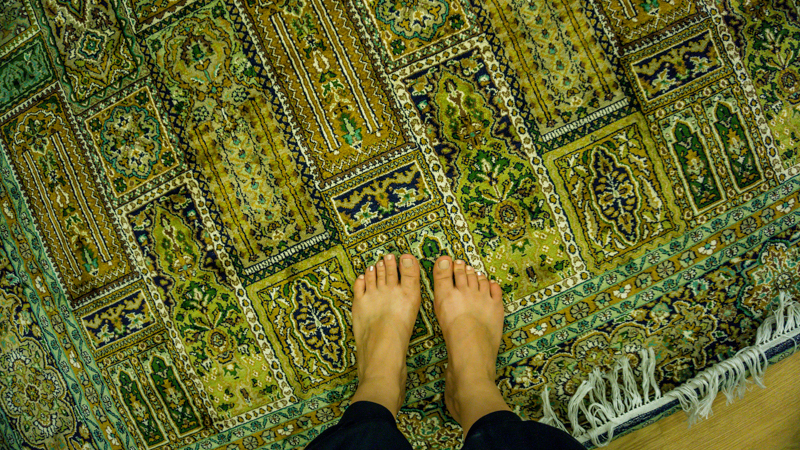 I was even allowed to walk on the silk rugs with my dirty feet! 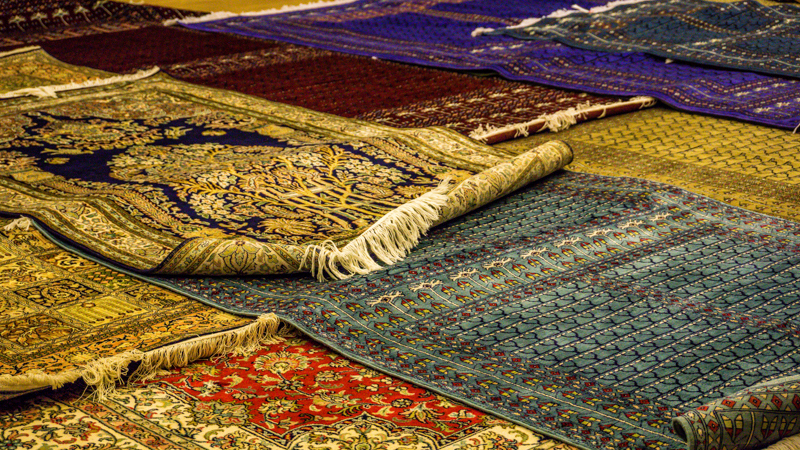 I have to say, the silk rugs felt heavenly. If I was Indian royalty I would have definitely had silk rugs in all of my rooms. I also got to do some screen printing! 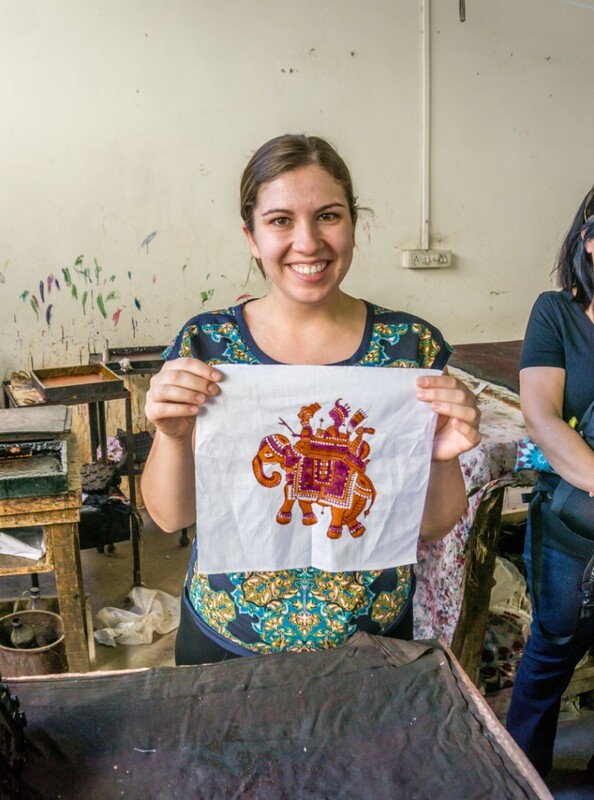 The dyes that are used in traditional Indian screen printing are all natural vegetable dyes, and everything is done by hand. 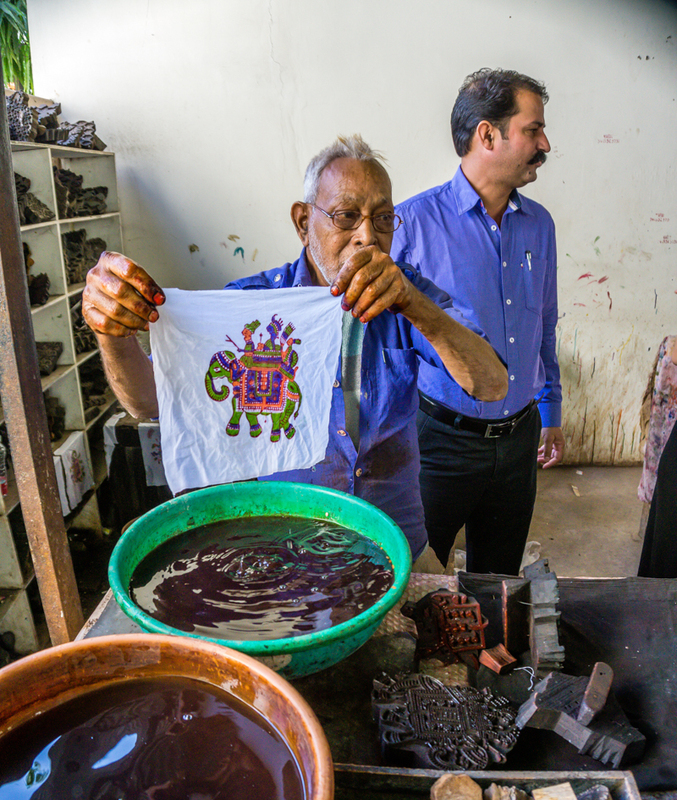 After the original dyes are applied, the fabric is dipped into a vinegar/water solution to set the colors permanently. Some of the dyes dramatically change colors in the vinegar (from reddish to bright green and purple!! ), so you really need to plan ahead when thinking up your color pattern. 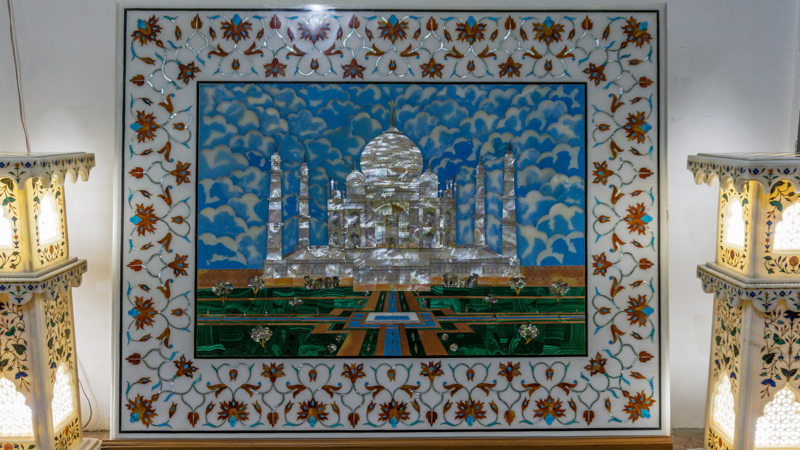 Last but not least, we saw some marble in-lay work. 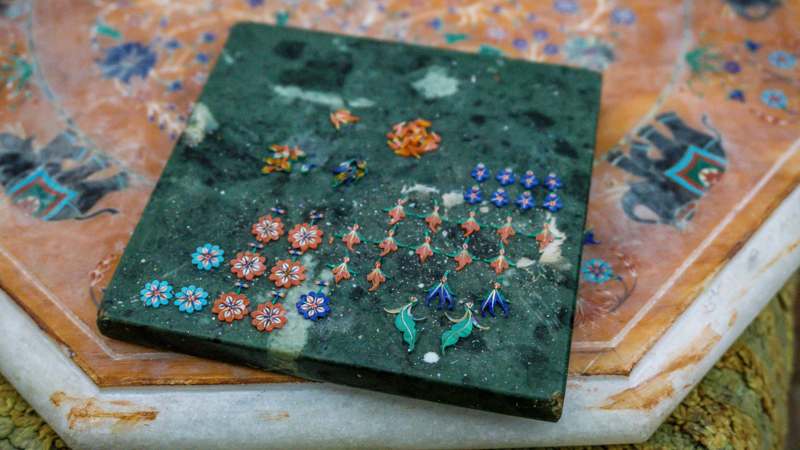 It was amazing seeing the artists work on the teeny tiny flowers. Each of the flowers was smaller than a dime, yet look at all the different precious stones that make up each flower! Thanks for sharing this. 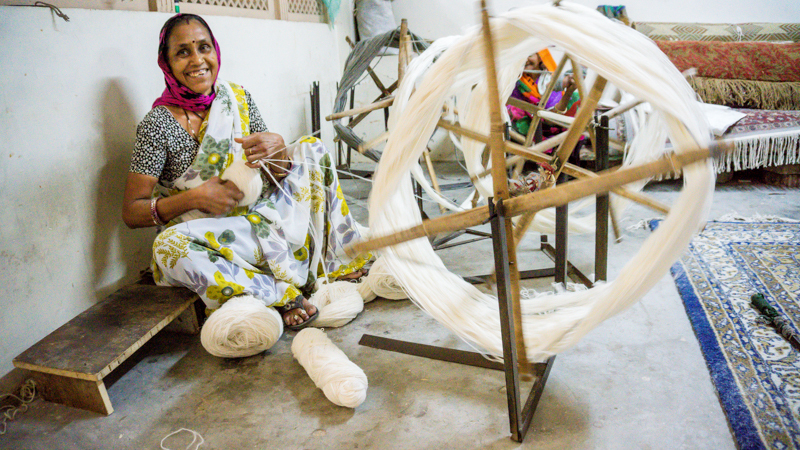 I was amazed how each of the crafts are done. Great job.